Sadly, I will not be able to attend this year’s shareholders meeting for Dominion Resources on May 11th in Columbia SC. Were I there, I would be asking out-going CEO Tom Farrell some difficult questions about the proposed North Anna 3 reactor. The global investment for renewables new capacity exceeded investment in fossil fuels (including fracking) and nuclear combined in 2015. Is Dominion just unable to find capable people to tap into this clear emerging market? 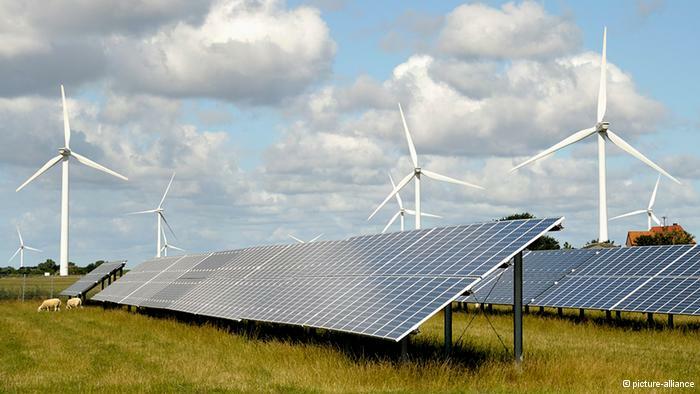 Dominion has a fairly small fraction of its capacity in high profile renewables. Dominion is fundamentally failing to become a forward thinking utility and instead depends on its comfortable relationship with the state government to push off the costs of its mistakes (like North Anna 3) onto ratepayers and taxpayers. Wise investors would recognize that this is not a sustainable investment strategy. 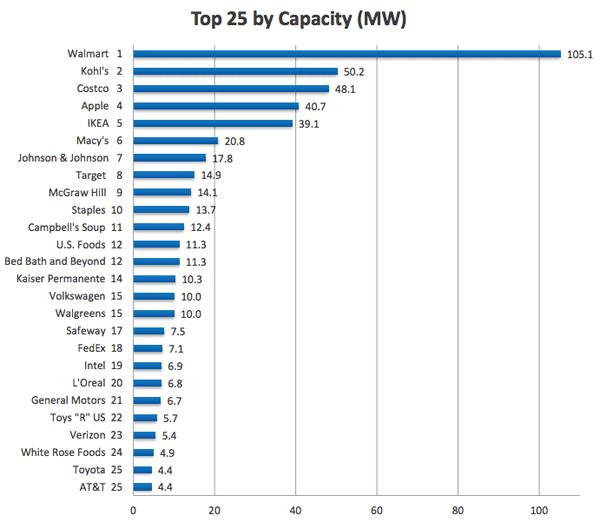 Combined, these blue chip companies have deployed 569 MW of solar capacity at 1,100 locations—a 28 percent increase over a year ago and a 103 percent increase since 2012, when the first report was released. 569 MW installed capacity is less than 1/6 of a reactor (with 35% capacity factor for the PV). But what is important here is that these are non-utility players and that the amount doubled in two years. That would be 5 reactors worth in the next 10 years (the same as the current expected amount of nuclear power that will come on line in the US is all the utility based reactors under construction are completed on time – which is quite unlikely). But doubling is crazy fast. At this rate by 2025 we will have replaced all the reactors currently running in the US with non-utility renewables power. 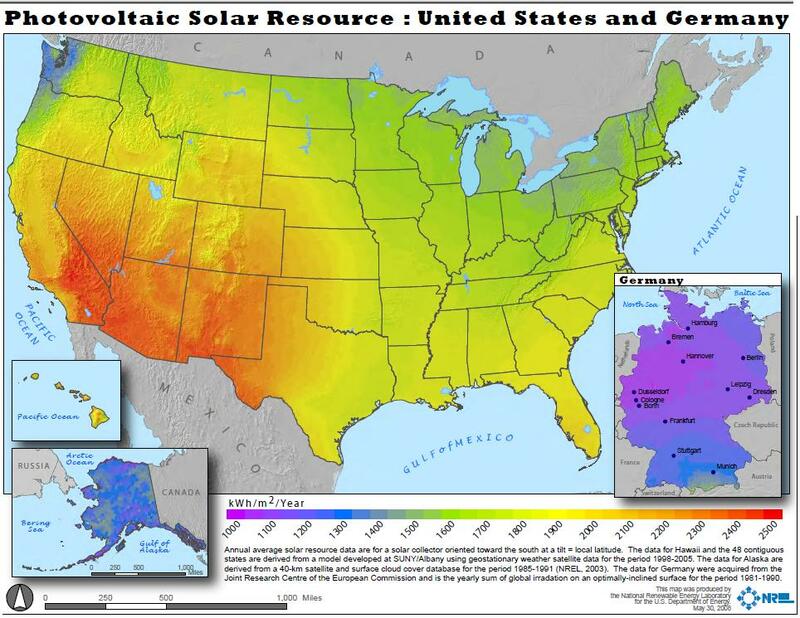 And by 2030 (in this very unlikely scenario) we will have a fully renewable grid nation wide. Even if the nuclear industries most ambitious plans are realized, we will only have a twenty new reactors in this period, failing to keep up with the retirement of aging ones in the US fleet. So the next time someone tells you that renewables can’t ramp up fast enough, you should observe nuclear power cant even replace it’s dead. The United States is by far the global leader in nuclear power plants with technically 100 operating reactors (though if you remove Crystal River, two San Onofre units and Kewaunee from this list you only have 99 reactors). France is a distant second with 58 operating reactors. So it was with some pleasure that i read that the global fleet of wind turbines had reached the 300 GW level, which is equivalent to 114 nuclear reactors*. Also heartening is that in the first 5 months of this year the US built 29% of it’s new capacity in renewables. This is even with historically very low natural gas prices. Renewables installed capacity is more than twice the new coal capacity. * Remember installed capacity is the maximum amount of power a generator can produce, to get the actual amount of power produced you need to multiply by the capacity factor. 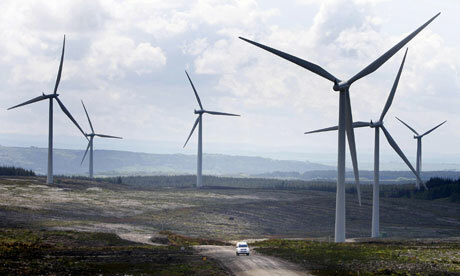 For wind turbines this is about 35%, because they do not run all the time. Nuclear reactors run about 90% the time. A typical reactor is around 1 GW capacity. i comment on lots of articles about renewables and efficiency and clean energy solutions and against reactors. 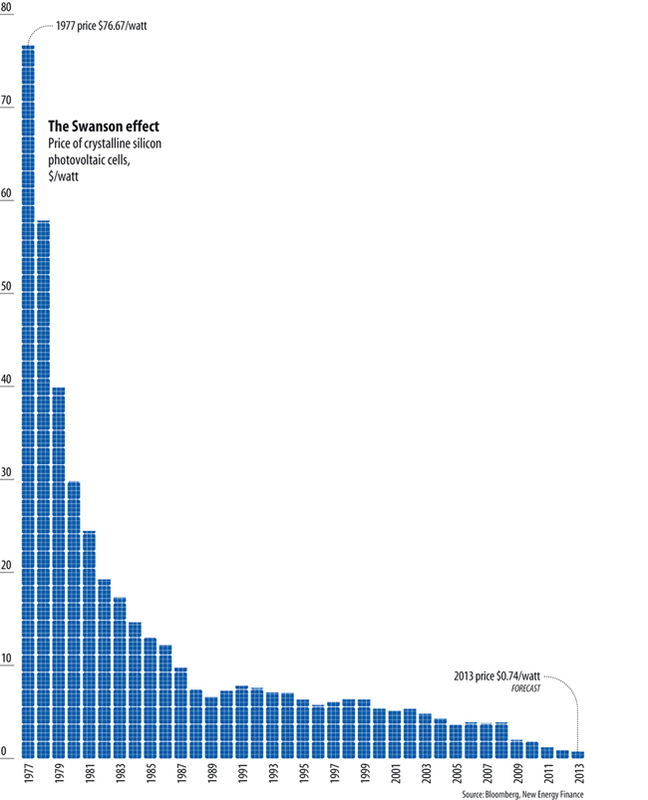 With some regularity i end up in debates with people who are pro-fossil fuel or pro-nuclear folks, who have recently been happily chirping that the biggest solar factor in China has gone bankrupt and solar is dead. In other renewable news, nuclear power continues its decline in the fraction of the total primary energy it produces in the US with 8.0 quadrillion BTUs in 2012, while renewable energy continued to increase its share and outstrip nuclear at 8.8 quadrillion BTUs. CitiBank and General Electric are already claiming on shore wind power (where not endlessly delayed by bureaucracy) is already the cheapest form of energy on earth. I can hear solar whispering the words of Mark Twain after hearing of his obituary in the New York Journal.